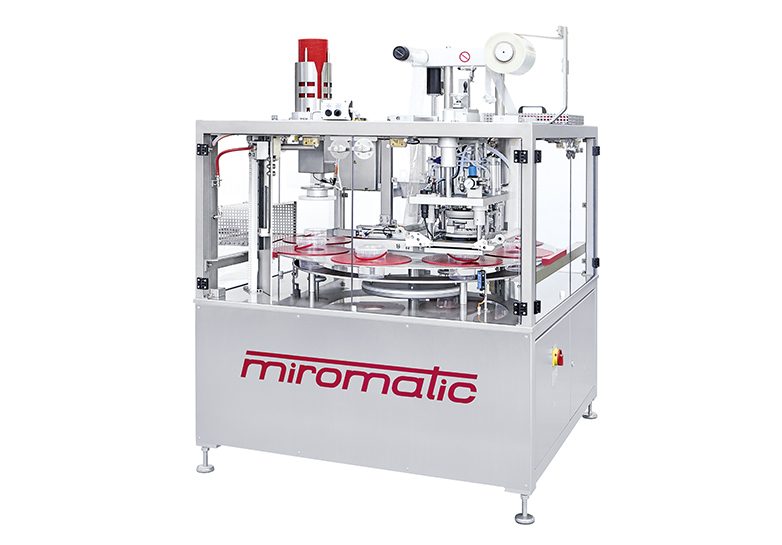 miromatic – With our experience, we offer you the perfect solution for your requirements. 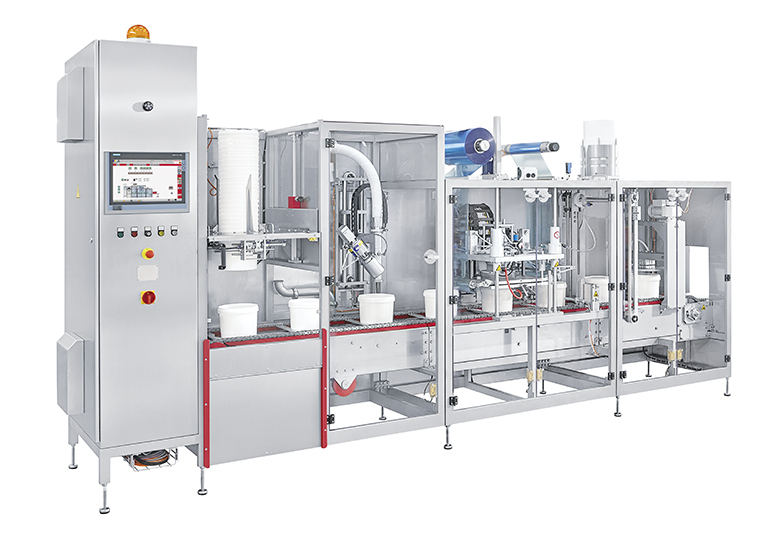 With our individually adaptable machine concepts, tailored to your product requirements, we can fill all fluid to paste-like products. 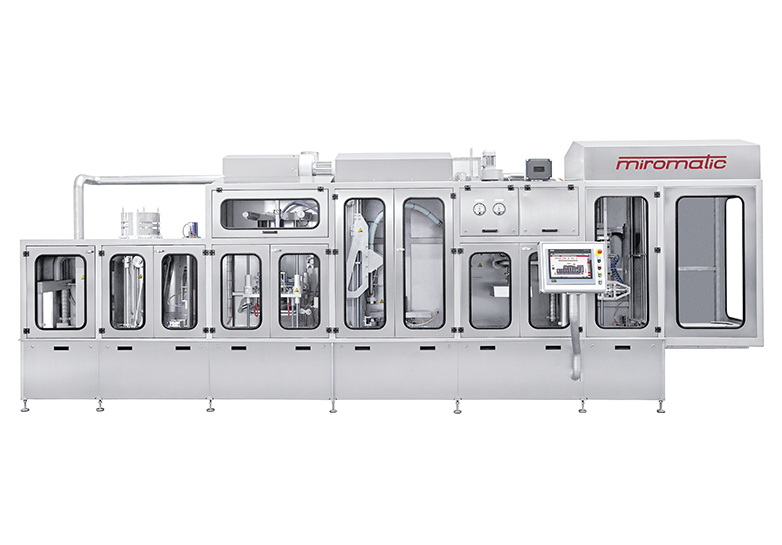 Having specialised in tubs, miromatic is now the leading manufacturer in this segment. 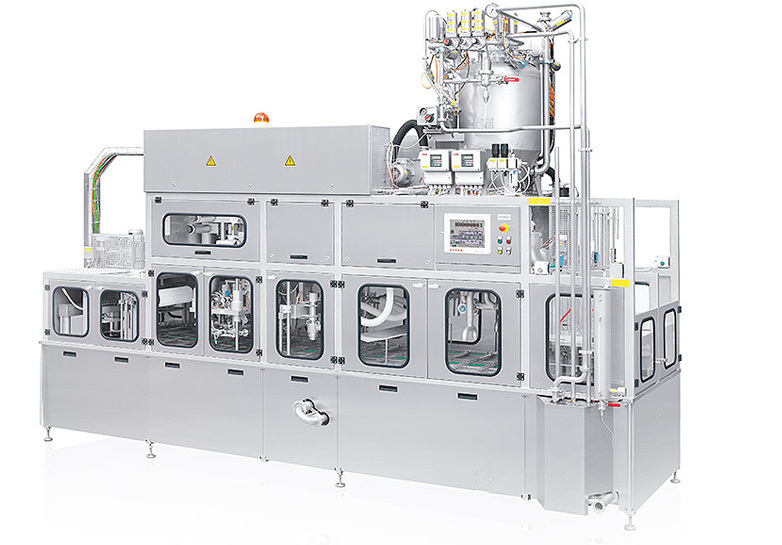 Tub sizes from 0.5 l to 30 l can be filled with our systems and they are suitable for products with a great variety of different consistencies – even sticky products. 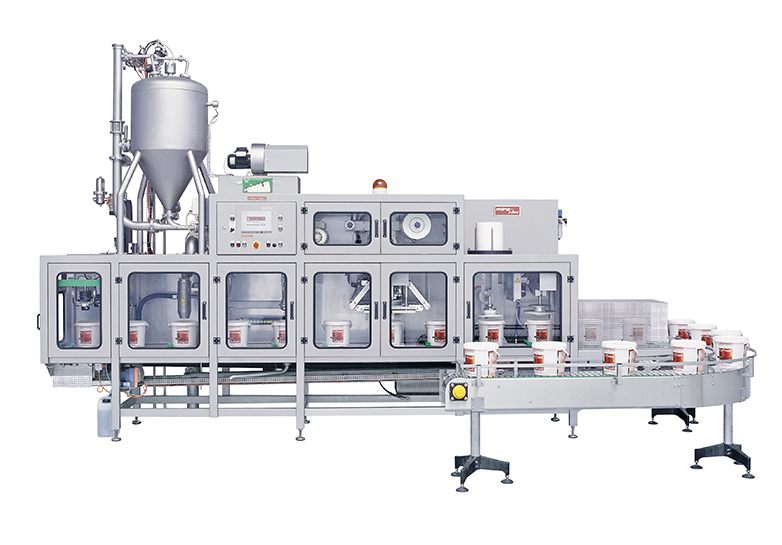 Alongside our core area of competence – hygienic, low-germ and sterile filling, we also offer a broad spectrum of products in the non-food sector. 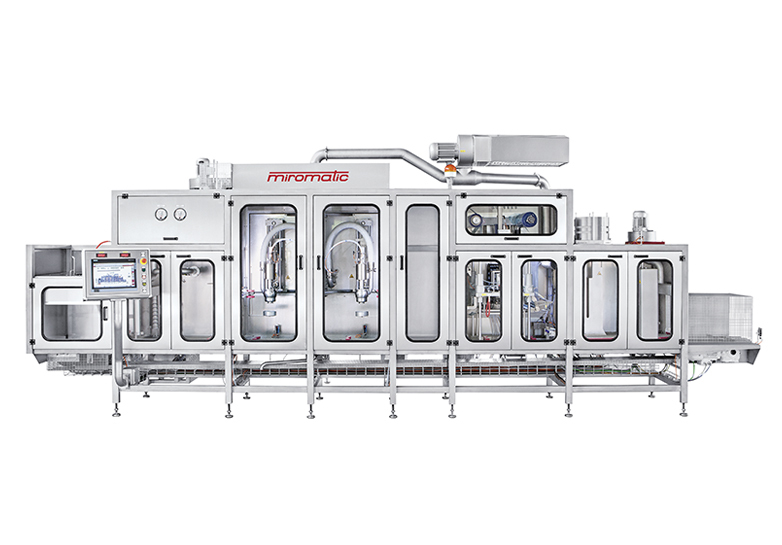 Thanks to the experience that we have gathered in the hygienic filling of tubs, we are able to take the logical step of applying our expertise to other large containers. We are the first manufacturer to offer LOG3 category disinfection in the canister sector, whilst also achieving tremendous cycle rates. 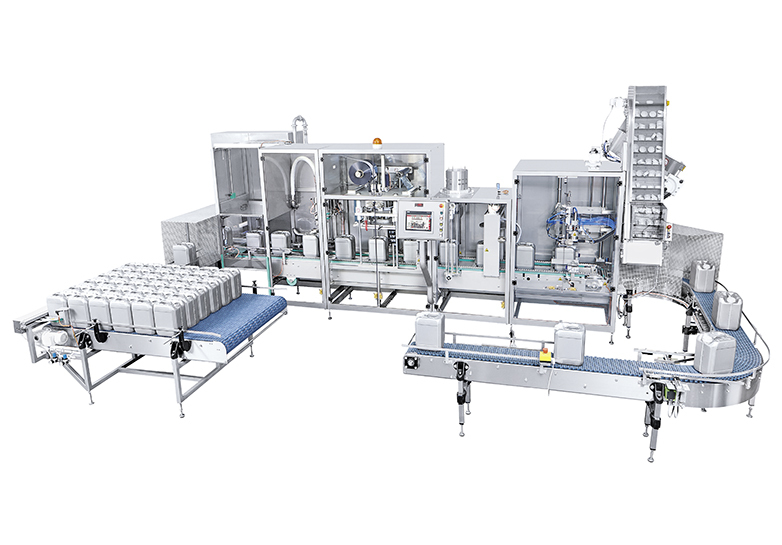 Alongside the complete packaging material disinfection, our core area of competence lies in machine hygiene. 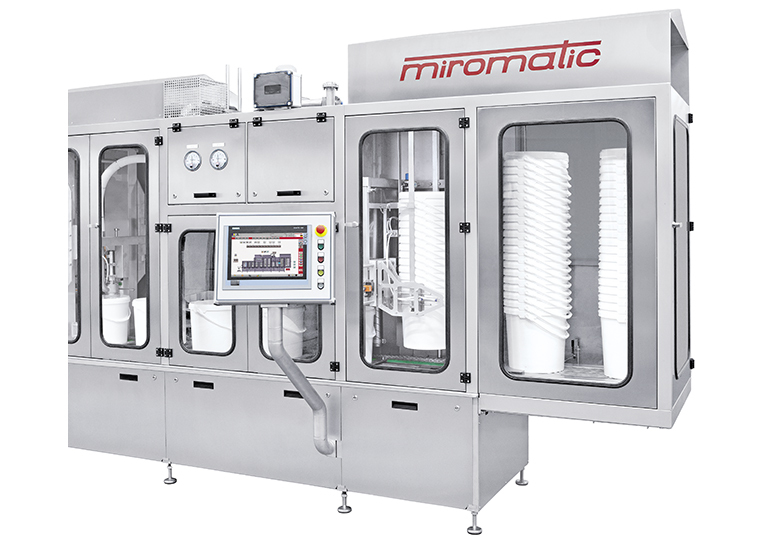 Our filling systems naturally comply with the VDMA directives for low-germ and sterile filling systems. 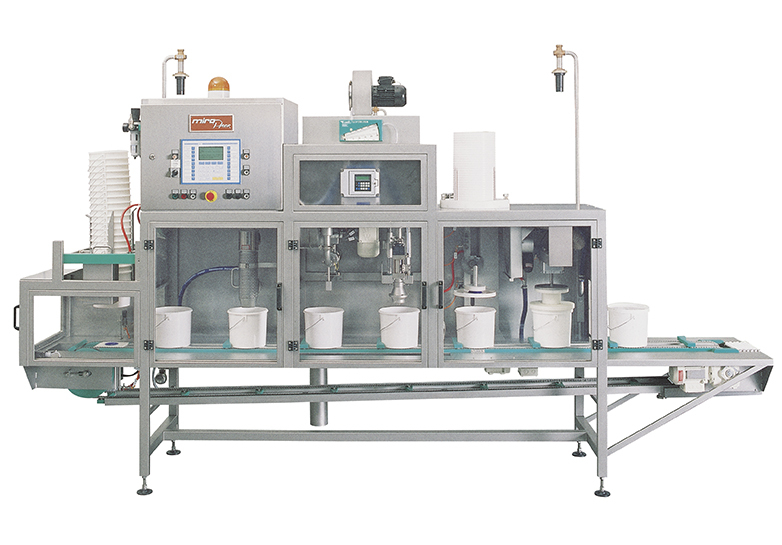 We will assemble your filling system adapted to your individual needs and requirements.